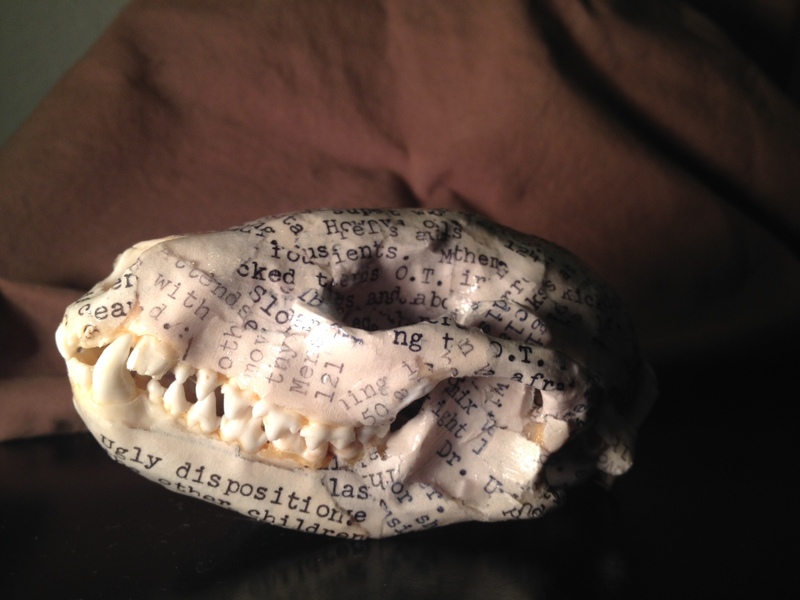 This entry was posted in Uncategorized and tagged Art, documents, mental health, New York, oddities, raccoon skull, skull, vintage by artgland. Bookmark the permalink. I know something about raccoons. In fact, I blogged about one. Hey! thanks for coming to my house. This piece is very cool. I like the old document collaged on top of the skull. I usually do the opposite, glue bones on top of vintage documents. Your idea is intriguing. Good luck with your relocation. Oh, that’s captivating. But I do quite like raccoons and their relatives.